Excellence is job number one for the firm. The firm's goal is to always provide top notch legal representation for each and every client for each matter that is handled for the client. This requires thorough preparation and attention to detail for every matter that is handled. It also requires that the economic realities are kept in focus and that the proper balance is maintained. With the firm's location in Portland, it is natural that the majority of the firm's clients are from Oregon. As a born and raised Oregonian, Larry understands the needs, concerns, desires and objectives of the Oregon community in general, and to use that understanding in assisting each client on each matter. Since transportation is largely governed by federal law, the facts frequently extend beyond the state's borders and into other states or countries. If the matter involves proceedings in a different state, Larry will associate with local counsel in order to provide the best representation at a reasonable cost, while maintaining control of the case. Larry has been involved in cases across the lower 48 and in Alaska and Hawaii as well. "Well begun is half done." With decades of practicing law under his belt, Larry knows that the first task is to develop a complete understanding of the dynamics of the entire situation. It is extremely important to get through the first gate which is not always the apparent gate. The considerations that drive that determination include obtaining the best result for the client, in an efficient and cost effective manner. With those parameters ascertained, the path going forward is well defined. Larry appreciates the business and trust of his clients, and owes a huge debt of gratitude to those businesses and individuals who have requested his services over the years. Their trust has been critical to the success of Larry's practice. Winter Conference of the Pacific Northwest Association of Rail Shippers, January 23, 1997 Beaverton, OR, on rail matters. Annual Conference of the Transportation Claims and Prevention Council, April 1996, Atlanta, GA, on transportation contracts and bills of lading. Annual Meeting of the Western Traffic Conference, May, 1995, San Diego, CA, on intermodal matters. Regional Meeting of the National Freight Claim and Security Council, American Truck Association, April, 1995, in Seattle, WA, on Alaska claims issues. Annual Conference of the Transportation Claims and Prevention Council, April 1995, New Orleans, LA, on transportation contracts and bills of lading. Moderator and Speaker at the Annual Meeting of the Western Traffic Conference, May, 1994, in Scottsdale, AZ, on various transportation law issues. While it is of course important to show up for work and do the best job that you can, it is also important to maintain a balance in your life. 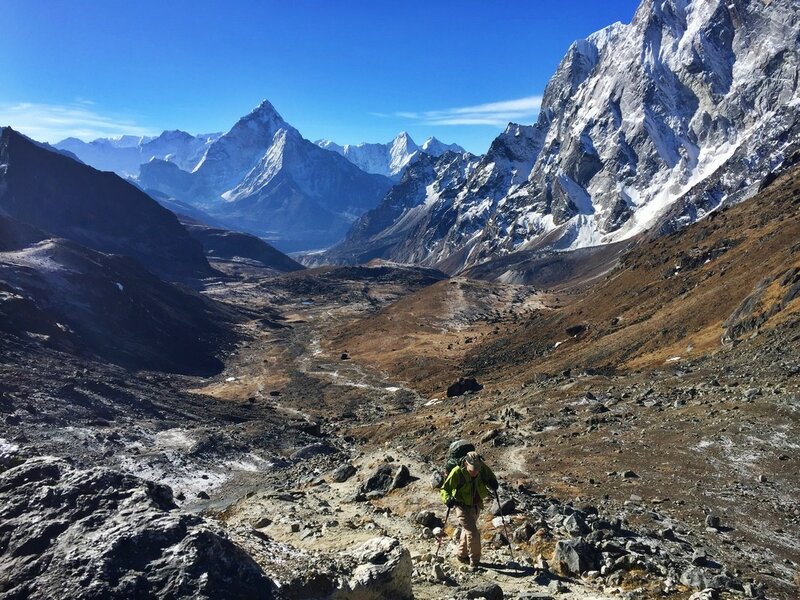 Larry's interests have changed over the years, from long distance running such as marathons and some tennis, to his more current interest of mountain climbing. 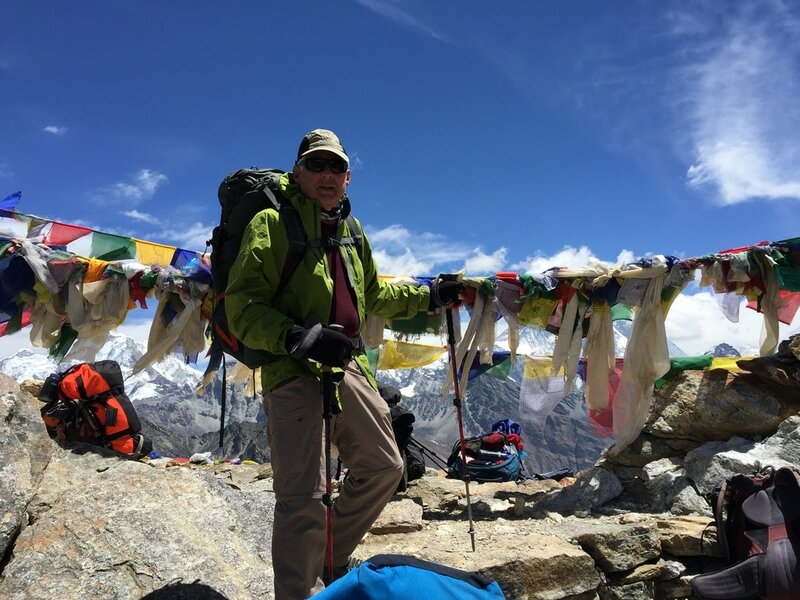 With his daughter, Rachel, Larry has climbed various peaks and mountains on the West Coast, including South Sister, Mt. St. Helens, Mt. Hood, Middle Sister, Mt. Adams, Mt. Shasta and Mt. Whitney, which at 14,505 is the tallest mountain in the lower 48 states. In early 2016 Rachel and I climbed Mt. 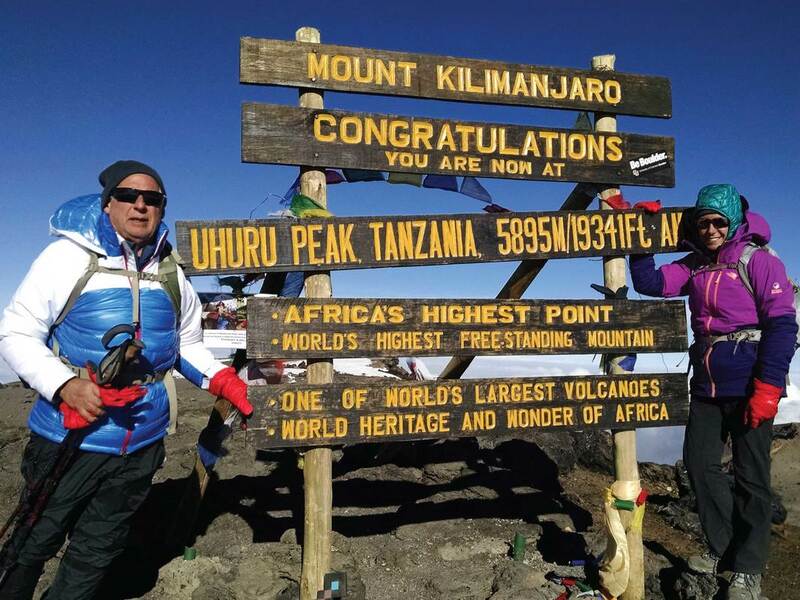 Kilimanjaro in Tanzania, a six day adventure. Kili is referred to as the rooftop of Africa, with an elevation of 19,340 feet. For comparison, Mt. Hood is 11,239 feet. 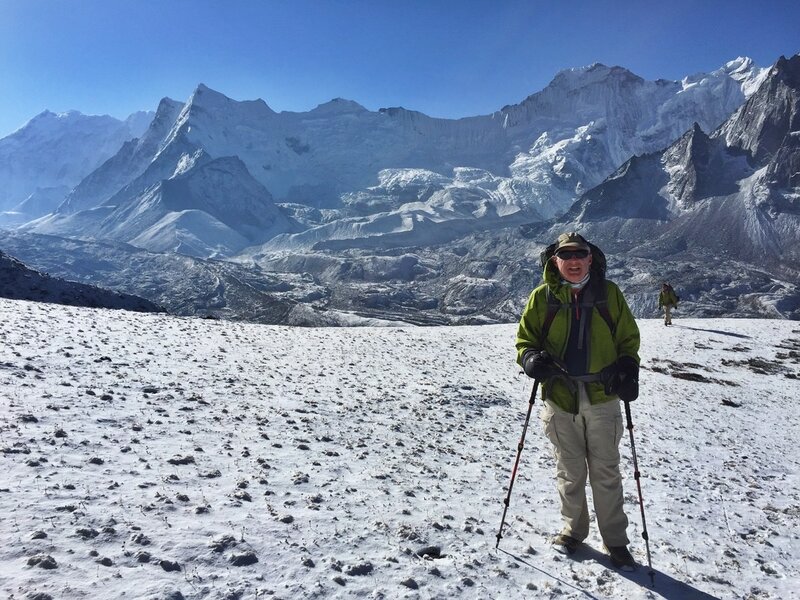 Then in April 2016, Larry traveled to Nepal where Rachel was spending three months doing various treks. 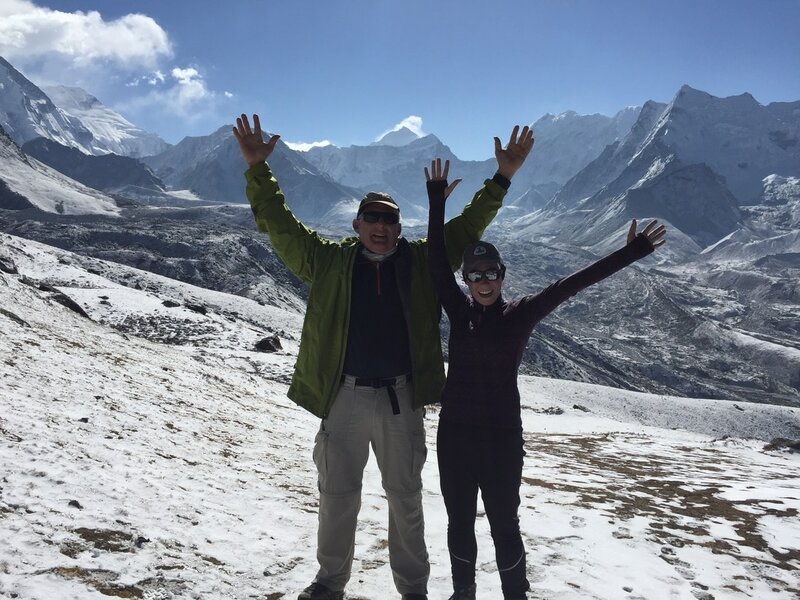 Larry and Rachel did the Three Passes Trek, referred to by the Lonely Planet guide book as the most difficult of the treks, “only for the truly adventurous”. 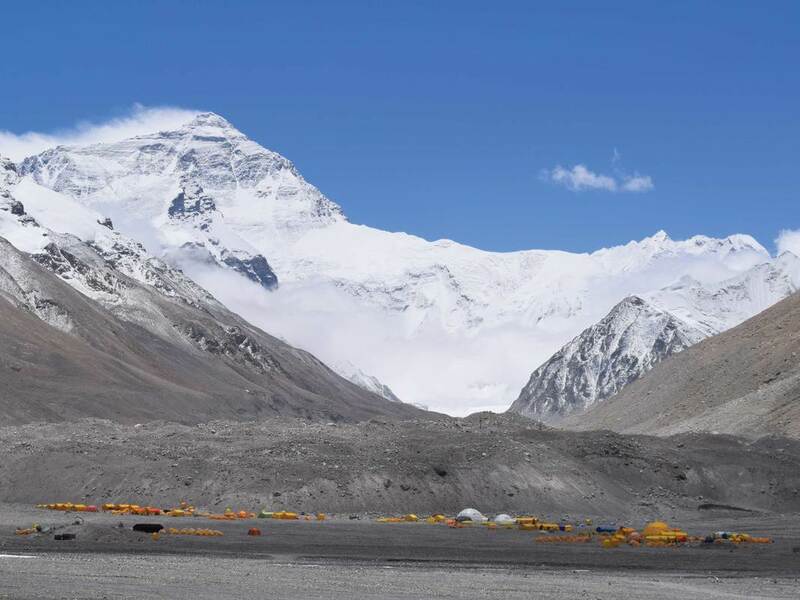 They were over 18,000 feet on three different occasions, and visited Everest Base Camp at 17,500 feet. No meat was consumed while on the trek as animals are not killed in the region. No alcohol, very little coffee, yak dung used for heat. It was, as the saying goes, truly a trip of a lifetime.